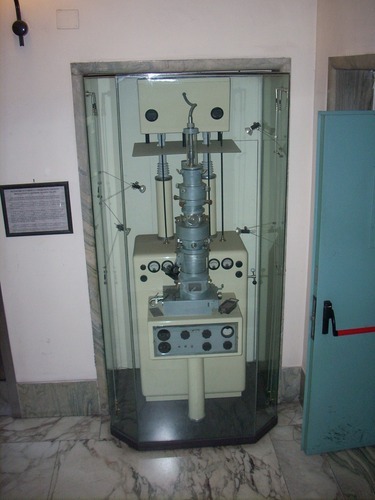 The first and only electron microscope entirely built in Italy can be seen in the Museo dell’Istituto Superiore di Sanità. 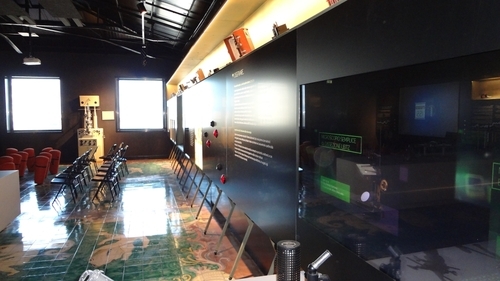 It is located at the back of the museum hall with its own dedicated section. Before the opening of the museum it was located in a showcase along the main staircase of the Istituto Superiore di Sanità in Rome. In 1939 the management of the Institute decided to buy an electron microscope by Siemens that finally was installed in the laboratory of Physics in november 1942: it was then the first electron microscope bought in Italy. 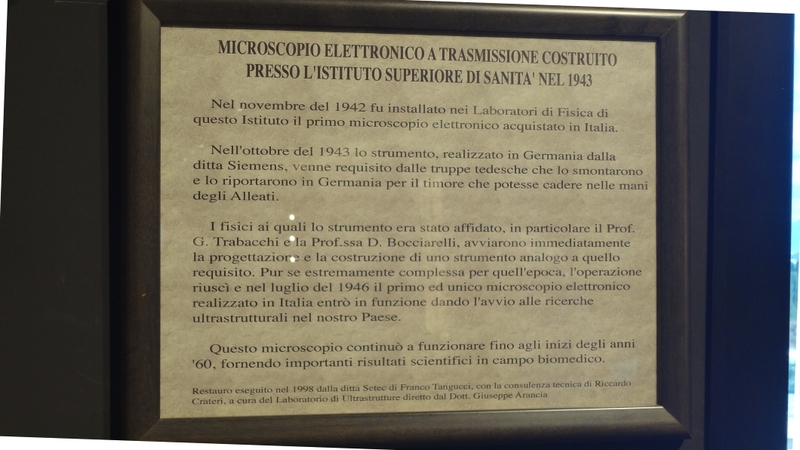 Unfortunately, only a year after, German authorities - during their war occupation of Italy - requisitioned the microscope and had it sent back to Germany. 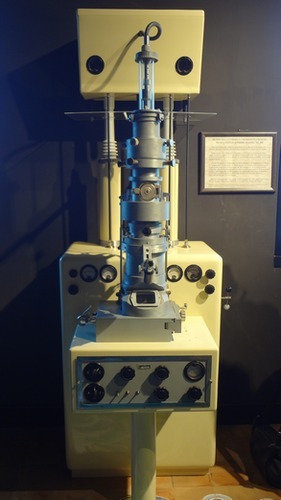 Then, the Institute's Director Domenico Marotta asked his researchers and technicians to project and build a new electron microscope of their own. Thanks to the experience and skills of the team, the difficult undertaking was accomplished despite the lack of means of war time and the first (and last) electron microscope ever built in Italy, after a period of testing, started to work in November 1946. 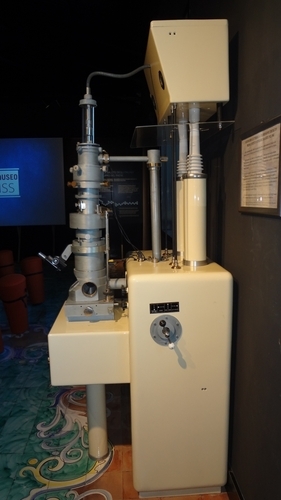 The microscope, named "ISS" after the initials of the Institute, was operative for almost fifteen years bringing important results to biomedical sciences.